Yes, you can bring your dog to the polls. Here are 12 things you need to know before going to vote on Tuesday. If you're still trying to decipher all of California's ballot propositions, check out KQED's Prop Guide. 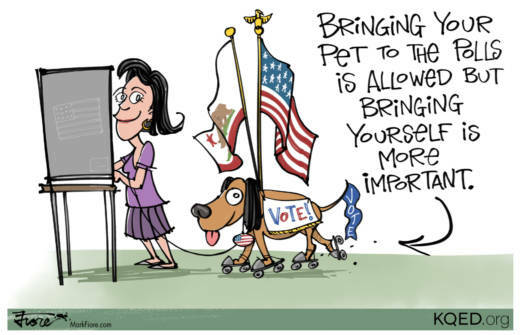 Dog or no dog, no matter what: vote!